It makes sense that William Paterson University would be located in Paterson New Jersey. WPU's outstanding faculty boasts 21 Fulbright scholars and provides a high quality liberal arts education for both traditional and non-traditional students. From the hazy view of the New York skyline to a scenic campus that includes a waterfall, WPU offers an excellent environment for education. What is a typical William Paterson University of New Jersey student like? Describe the type of person that should attend William Paterson University of New Jersey. They're generally a very happy, outgoing and bubbly person. Everyone that attends this university is very welcoming and are very friendly. Occasionally, there will be a shy person however , they still welcome you with open arms and kind hearts. What are the top 3 reasons someone should attend William Paterson University of New Jersey? What was a typical William Paterson University of New Jersey student like in high school? Describe the type of person that should attend William Paterson University of New Jersey. At William Paterson University, students find a supportive and challenging environment that encourages them to push themselves, gain confidence, and come away with the knowledge that remarkable things are within their reach. Located in suburban Wayne, New Jersey, the University serves more than 11,500 students through five colleges: Arts and Communication, Cotsakos College of Business, Education, Humanities and Social Sciences, and Science and Health. Our more than 250 undergraduate and graduate academic programs create opportunities that help students succeed in our classrooms, laboratories, studios, and throughout our 370-acre wooded campus. What are the top 3 things that students do for fun at William Paterson University of New Jersey? They provide common hour outside on Tuesdays and Thursdays. Its similar to a small party. They just recently had zoo animals on campus for the students and also had Recording artist Seven Streeter on campus for an interview. Campus housing is available for undergraduates. Housing deposit : $150.00. Housing deposit due : Jun 1. Housing deposit is not refunded if student does not enroll.. No cars. No pets. 23% of students live on-campus. The average student pays $13,288 for tuition, fees, and other expenses, after grants and scholarships. Total stated tuition is $7,421, in-state and on-campus, before financial aid. Learn more about financial aid at http://www.wpunj.edu/financial-aid/. Estimate the net price for you at http://www.wpunj.edu/financial-aid/net_price_calc.dot. The typical (median) early career salary of William Paterson University of New Jersey graduates is $43,700, according to Payscale. William Paterson University of New Jersey participates in the NCAA Division III for college athletics. 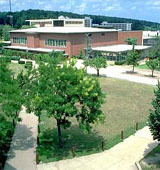 Want more info about William Paterson University of New Jersey? Get free advice from education experts and Noodle community members.